It’s fair to say that most underwriters and insurance companies have fairly unexciting websites. That’s not to say they don’t do their job well and provide value to users, but they certainly don’t leave any sort of memorable impression. Brooklyn Underwriting have bucked the trend with their new website, which it’s fair to say is quite different to any other insurance related website I can think of. What makes this even more interesting is that Brooklyn only deal through intermediaries, so all the effort is mainly for the benefit of insurance brokers rather than consumers. “Brokers spend a lot of time on insurer websites. The idea was to make the time being spent on the website a bit special. We had a look at some of our competitors and the market in general. We found there was no real interaction or interest factor. People go onto the site, do what they have to do and get off. Personally I think the look and functionality of the new site is fantastic, and is certainly a lot different to the websites of other insurers, underwriters and brokers. One area that I particularly like is the team section, in which all of the Brooklyn staff are depicted in a police line-up. By clicking on any of the staff members you are taken to another page with a more casual photo of the team member along with additional information about their current role and their background. Insurance really is a people business, so it’s great to see a bit more personality in the team profiles and in the overall website. I can’t recall the source, but earlier this year I read that no matter how ‘boring’ the product or service promoted on your website is, it is still important to ‘surprise’ visitors to your website with interesting design features. Brooklyn’s new website may not necessarily mean that brokers will be inundating them with new business, but a website that is more enjoyable to visit and interact with will certainly not hurt. 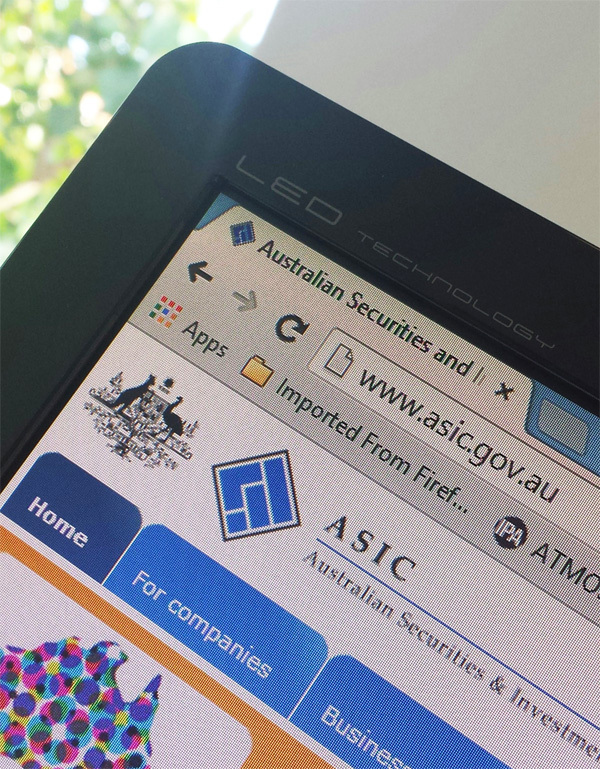 One of Australia’s biggest online life insurance providers has been acquired by TAL. 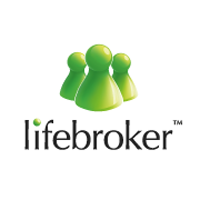 Lifebroker was founded in 2004 and has grown to be one of the top two largest online providers of life insurance. TAL has owned a 10% stake in the business for the last three years, and this week moved to full ownership of the business. Of most interest to me was the amount paid for the remaining 90%, but sadly the purchase price has not been released. What we do know is that TAL’s parent company, The Dai-ichi Life Company, valued Lifebroker at $28 million in June this year. Presumably the existing owners would have sought a premium in return for relinquishing their entire shareholding, in which case it would be safe to assume that the final valuation was somewhere in excess of $30 million. That’s a hefty chunk of money in anyone’s language, and it shows the level of confidence that TAL has in the continued growth of online life insurance. Unfortunately it also shows how focused TAL is on the direct insurance market, which in my opinion could lead to more Australians taking the DIY approach instead of seeking professional advice. In case you didn’t know, TAL also owns the InsuranceLine brand which is heavily promoted on television. So what exactly has TAL bought themselves? Lifebroker is a website that allows consumers to compare premiums for life insurance from a range of insurance providers. In addition to life insurance, consumers can also access trauma, TPD, income protection, mortgage protection and funeral insurance. Lifebroker compares policies from a range of insurers including AIA, AMP, Asteron, BT, Comminsure, Macquarie, MLC, OnePath, Zurich and of course TAL. That’s good news in my opinion, because the last thing we need is another so-called comparison website which only compares products from a single insurer. Personally I still believe there is a big conflict of interest in an insurance company owning a comparison website. Hopefully TAL does the right thing and makes very clear disclosures on the Lifebroker website rather than burying it in the FSG. Provided that they do that, then good luck to them and I take my hat off to TAL for investing in online assets whilst the others are left behind. This blog entry will probably be of little interest to my regular readers, but I had plenty of trouble finding this information for myself, so I feel the need to share! I am writing this from Paris where I am enjoying a holiday with my wife. Whilst not a working holiday, I do have to keep fresh content on my websites to ensure those Google rankings stay strong during my six week absence. I’m using wifi wherever I can whilst overseas, which is fine for everything else, but when I tried to upload some new content via my FTP program I couldn’t get in. I tried instead to use the File Manager function through my WHM (web host manager) but that wouldn’t let me in either. The thought of not being able to update my websites for six weeks almost made me sick! This wouldn’t be a problem if I used WordPress for all my sites, but for various reasons I don’t for my main business sites. So anyway I searched and searched for a workaround and couldn’t find a solution, but finally I came across a gold nugget which saved the day! It’s as easy as that! From here you can access the cPanel for each domain you have hosted within your WHM. So disaster averted and I once again have access to upload new content to my non-Wordpress websites. For more information on accessing WHM from an overseas or wifi network please visit the original page (link here) that saved me. As a financial adviser, why do you have a website? Some of you will say it’s about branding or profile building, but ultimately it is to attract leads. Once your website has gained the lead, then it’s your job to convert that lead into a happy – and profitable – client. Getting prospective clients to your website is often the biggest hurdle, but in this article I’m going to skip that step and assume that the visitor has already made their way to your website. There are many different styles of adviser websites out there, and just as many different styles of enquiry forms. I’ve delved deeply into many financial advisers’ websites; firstly as part of my compliance role when I was approving adviser websites for a large dealer group, and more recently as part of my research for both my own websites and those of the advisers I partner with. Many adviser websites use a very basic enquiry form that simply collects contact details and perhaps some brief details about the type of service the client is looking for. This type of enquiry form often features prominently on the front page of the website. Whilst I like the idea of having the enquiry form as a ‘call to action’ on the front page of the website, I do wonder about the effectiveness of such forms, and the large amount of front page real estate that is lost in making space for the enquiry form. If someone is only providing their name and contact details, they know very well that all you’re going to do with that information is use it to call them back. Not that there’s anything wrong with that, but if the prospective client knows that will be the case, why wouldn’t they just call you themselves? On the other hand you have the more complex enquiry forms. These are generally far too large to place on the front page of the website, and will instead have their own dedicated page. Obviously you would still be placing prominent links to this page from your front page, and every other page of your website. I have had plenty of advisers – and so called web experts – tell me that the shorter enquiry forms are far more effective. Their rational is that a prospective client is much more likely to complete a form that takes thirty seconds rather than one that takes ten minutes. My company owns a portfolio of websites that gather life insurance leads. Over the years we have used short and long enquiry forms, placed in different sections of the websites, and the results have been very different. We have found that short contact forms on the front page deliver far fewer leads than our more complex forms, and furthermore the leads from the complex forms convert into paying clients at a much higher rate. One of our most successful websites actually features our most complex enquiry form. Over the years we have continually added more questions to the form and made it more difficult to complete, yet the number of enquiries we receive continues to increase every month. The form on this website is now so comprehensive that two dealer groups have accepted it as a fully completed fact finder. That saves a huge amount of time, and also makes for an extremely good lead. Not only do we know a lot about the client before the first phone call, but we also know how serious that person is due to the amount of time they have invested in completing our lengthy form. You may be thinking that a lot of prospective clients will leave the form half-finished when they get tired of answering questions, but our statistics show that we have very few ‘dropouts’ with our forms. If someone isn’t committed to filling out the form we probably don’t want the lead anyway. I know that most web designers will keep telling advisers that short enquiry forms are better, but if you take that advice then I believe you are costing yourself business. I have spoken to plenty of financial advisers who have spent thousands on their websites, only to receive not a single lead from it. Now I’m not saying that a longer and more complex enquiry form will result in a flood of leads for any old website. What I do believe is that a well designed website that ‘funnels’ visitors through to a comprehensive enquiry form will be more effective than one that expects the visitor to enter their contact details on the front page without having had a chance to read through the website. Online strategy is all about experimentation. If you currently use a short enquiry form on the front page of your website, try investing a few dollars in having your web designer implement a more detailed form, and use the saved space on your front page to further promote your services. If it doesn’t work, little has been lost. If it does work, you could have a lot to gain. Does your website benefit your ego or your business? This article has moved to a new home on the BIZ website. Posted on May 16, 2011 January 15, 2014 Categories WebsitesLeave a comment on Does your website benefit your ego or your business? You probably don’t know it, but there is a huge subculture in Australia – and around the world – that revolves around internet domain names. Some of the people are involved are just ‘cybersquaters’ who register trademark domains and misspellings, but there are many legitimate ‘domainers’ out there who register generic finance related terms and build lead generating websites. It’s a system that works pretty well. The domainers (effectively publishers) create content and attract visitors to their website. Then they legitimately collect the client’s information, usually via a secure online enquiry or quote request form, and then they sell the lead to someone just like you. They publisher gets money for their efforts, and you get a targeted warm lead without having to do much other than paying around $50 a pop. But here’s my problem with this system – as an adviser you may be getting all of the golden eggs, but you’ll never get the goose. Of course the goose is the lead generating website. So how do you get your own lead generating website? Many so-called online gurus will just tell you to build a better corporate website, but I disagree. Yes of course a better corporate website won’t hurt, but you’ll never compete with the lead generating masters. I know which one I’d be clicking on, because I’d know just from looking at the domain that it’s probably what I’m looking for. Furthermore, Google will also treat the second domain much more favourably as it contains the specific words the user was searching for. This means result number 2 will come up much higher and therefore be more likely to be clicked on. Now you might be thinking that option 2 (financialadvicebrisbane.com.au) doesn’t exactly roll off the tongue too well, nor is it particularly good for memorable branding. But that’s the trick – you wouldn’t use financialadvicebrisbane.com.au as your corporate website, it would simply be a doorway for people to find your business more easily. You could either have an enquiry form on the website, or could just direct visitors from this feeder site to your main corporate site. I used this exact strategy with great success in my own advice business, and was able to gain so many extra leads that I had to sell them to other advisers myself! So yes, get yourself a great corporate site to impress your existing and prospective clients, but to really drive the lead generation side you need to get some generic feeder websites in place. Of course I can help you with all aspects of this process, so if you’d like more information please contact me.